Beautiful open floor plan, all on one level living! The kitchen and living room flow easily together, perfect for family gatherings and entertaining. Extra bonus room perfect for dining room, play room, office, etc. Owner's suite offers large walk-in closet, master bath has a tub and separate shower. Fully fenced backyard! 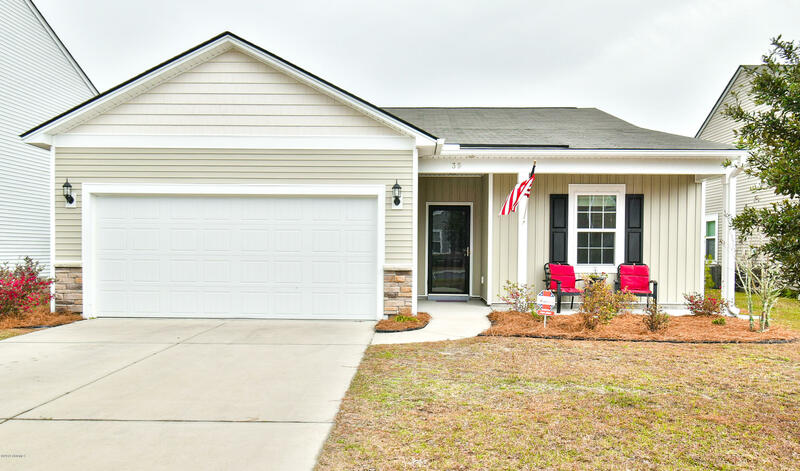 Shadow Moss is conveniently located close to MCAS, Parris Island, retail and grocery, and downtown Beaufort.